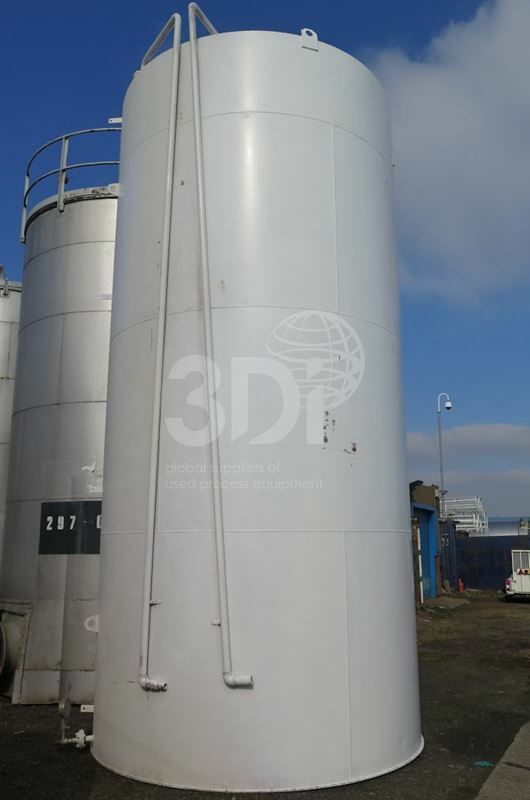 Used 47,000 Litre Mild Steel Storage Tank. Orientation: vertical, cylindrical, flat bottom, tented top. 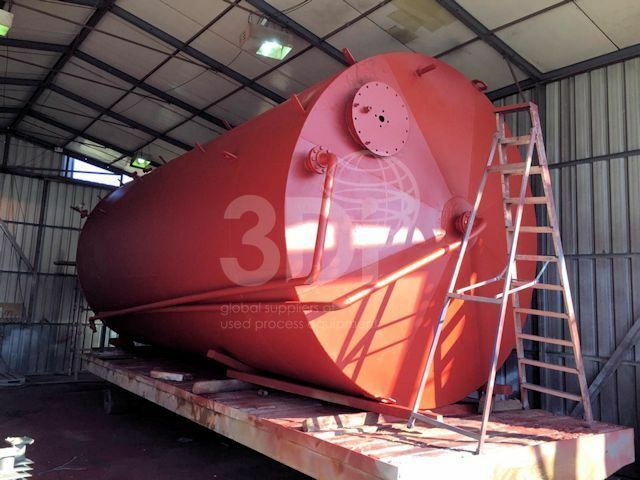 Dimensions: 3000mm diameter, 7000mm on the straight, 300mm tented top. Connections: (1) 500mm top man way, (2) 80mm top inlets, (2) 50mm bottom outlets.